Woody Ornamentals Archives - Page 9 of 9 - Surfing Hydrangea Nursery, Inc.
Today it feels like Spring has really set in on Nantucket! 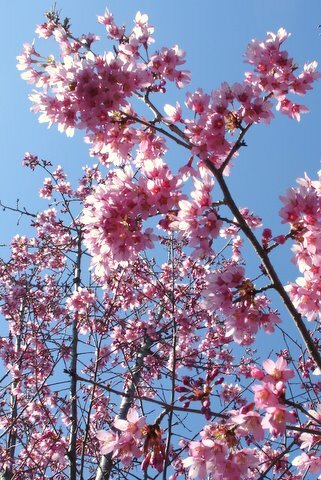 ‘Kwanzan’ cherry trees are in full bloom accross the island, giving everyone the feeling that Summer is also right around the corner! 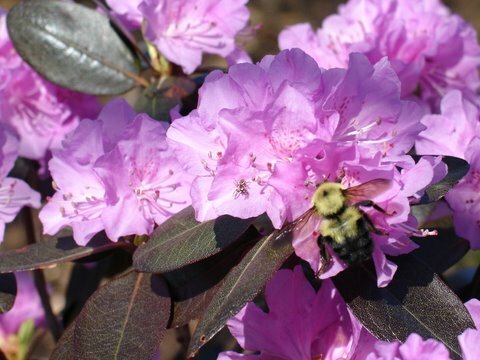 It’s exciting to see perennials and annuals filling up the courtyard, but if your landscape still needs a few more “Bones” it is prime time for planting Spring flowering shrubs. Early Spring shrubs like Hamamelis vernalis (Witch hazel), Pieris japonica & floribunda (Andromeda), Mahonia aquifolium (Oregon Grape), Spiraea ‘Ogon’ and Forsythia are now giving way to mid spring and early summer bloomers. 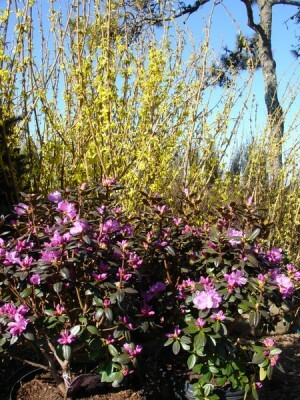 The next wave of color will come from Kerria japonica, Prunus maritima (Beach Plum), Azaleas, Rhododendrons and Viburnums like V. x carlcephalum and V. carlesii . The final days of spring are ushered out with Lilacs. Syringa vulgaris, the common lilac has stunning flowers with unmatched fragrance. 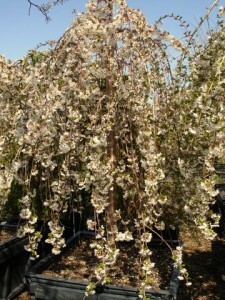 But don’t discount the smaller-flowered varieties. Syringa patula ‘Miss Kim’ is an excellent landscape plant for Nantucket, resistant to powdery mildew and tolerant of more extreme conditions than others. 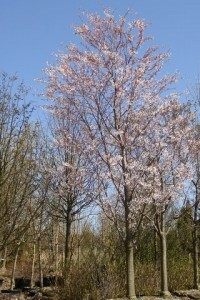 The nursery is filled with color as trees burst into flower. There is a wide variety to chose from, but the hues of pink and white predominate this time of year. 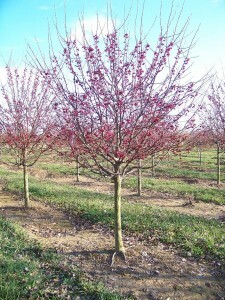 Cherries, Crabapples, Ornamental Pears and Magnolias are in stock and ready for planting. 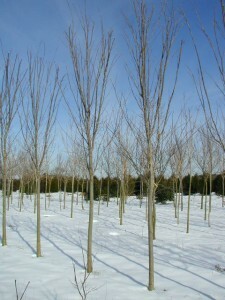 Should you require a large tree for a special spot now is the time to shop! Spring on Nantucket has a way of being mostly grey. 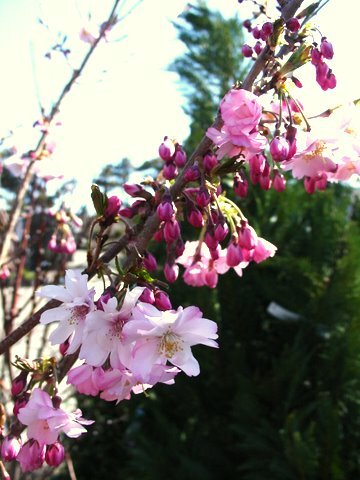 Luckily, we have a wide selection of spring flowering trees and shrubs to brighten up the landscape. With masses of yellow flowers, Forsythia x intermedia is hard to miss in full bloom. As part of a hedgerow or boundary planting, it’s superb. 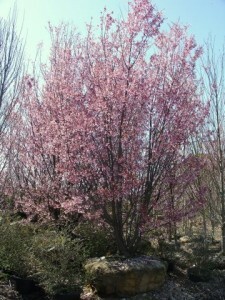 It provides color in spring, and great screening in summer due to a dense habit and pleasant green leaves. If you need something a little smaller, Spiraea thunbergii ‘Ogon’ might be just the ticket. This three-season performer starts early. 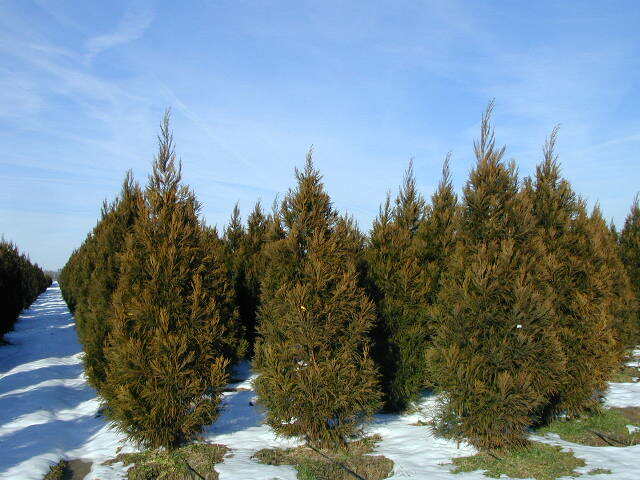 It leafs out before many other shrubs in the landscape, and soon after it’s branches are covered in white flowers. In summer its willowy, yellow-chartreuse foliage is the main attraction. So, whether you fall back on an old standard or want to try something new, we have a plant in the yard to fit your space. And if you don’t see what you want, we would be happy to order it for you! Getting Hydrangeas to bloom reliably year to year requires a little bit of horticultural knowledge. 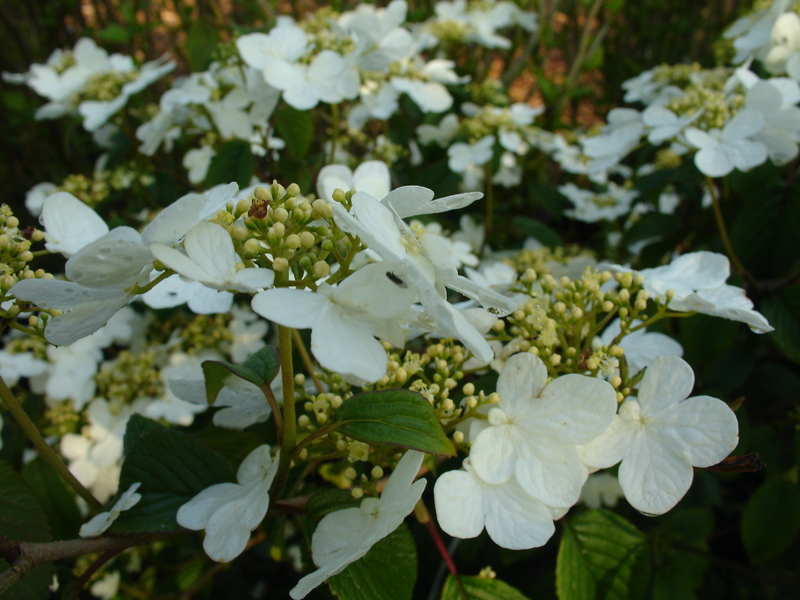 Hydrangea paniculata and arborescens cultivars bloom on wood produced during the current growing season, and can handle severe pruning or winter die-back, and still flower heavily. Generally, Hydrangea macrophylla cultivars bloom on the previous season’s woody stems. 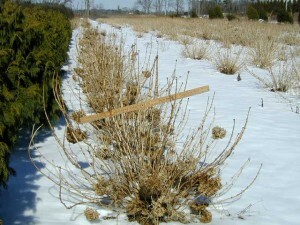 Severe pruning or winter die-back of these types will remove over-wintering flower buds, sacrificing the current season’s show. In short, Hydrangea paniculata and arborescens can be pruned to shape and size as you desire without affecting flowers. However, avoid severe pruning on Hydrangea Macrophylla – the best cultural practice is to remove dead wood and a small portion of the oldest, least productive, stems. It is not necessary to top Hydrangea macrophylla. Leave the tips of healthy stems in tact for the maximum number of flowers. If you must top them, do not remove more than 2.5 – 3′ in height, as most flower buds are formed in the top three feet of these shrubs. New varieties of Hydrangea macrophylla have been developed that bloom on old wood as well as new growth. The Endless Summer © series is now widely available and nearly guarantee flowers, even with heavy pruning or die-back. 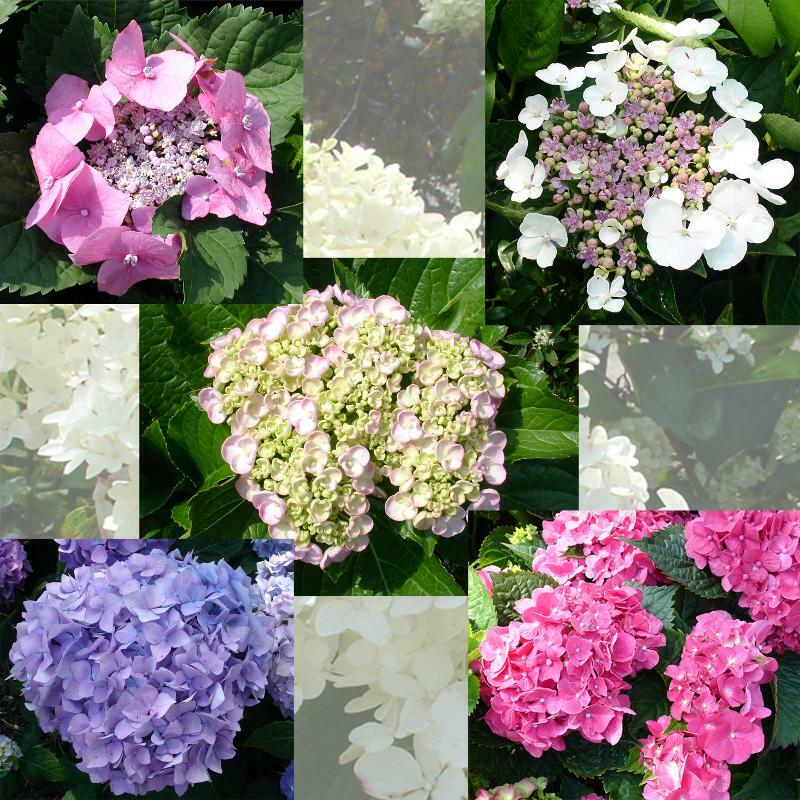 We carry a wide assortment of hydrangeas to choose from, in large and small sizes, ready to make any garden even more beautiful. Come in and take a look! 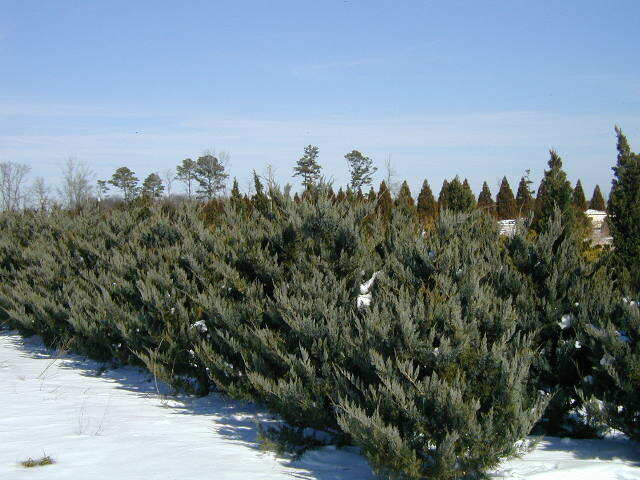 Check out the photos below of stock that will ship to the nursery during the upcoming months. 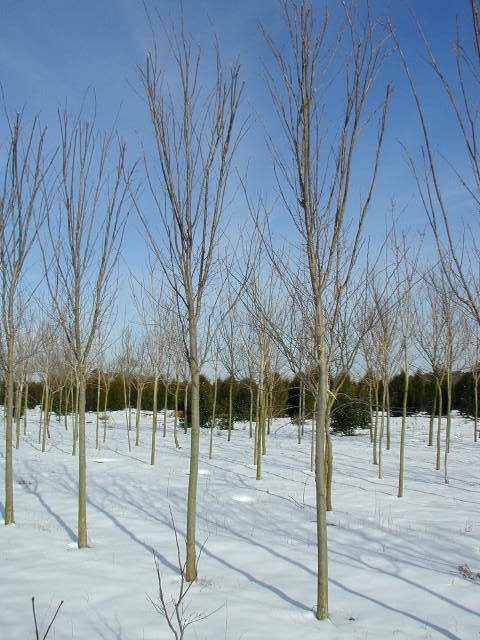 Late Winter/Early Spring is an ideal time to plant most trees and shrubs. At this point in the season plants are either entirely dormant or largely inactive. 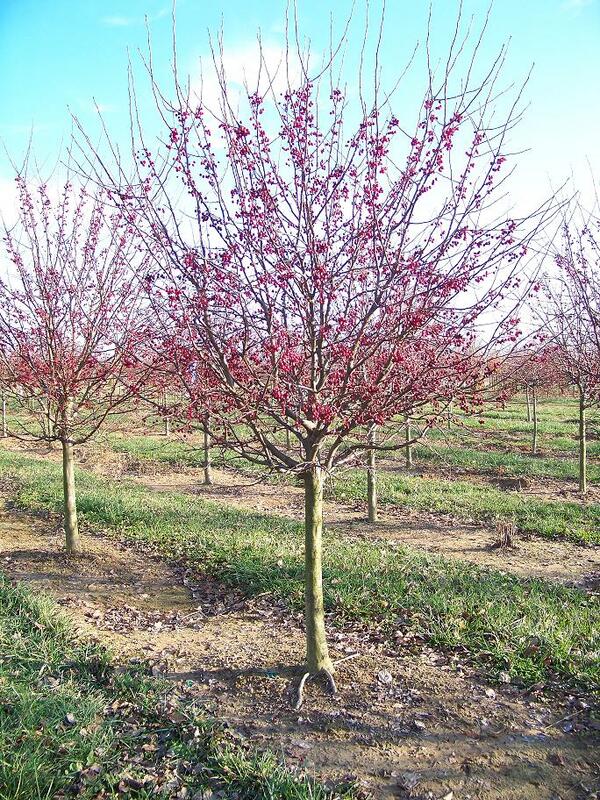 Early planting insures minimal transplant stress and allows time for substantial root development prior to the arrival of warm temperatures and drier soil conditions.